I want to play some purchased/rental videos/songs from iTunes on Samsung Galaxy S6, but the DRM makes it no way to access to those videos/music. So I got to find a way to remove DRM from iTunes videos. I use Mac. Any suggestion? Apple removed the mandatory DRM from iTunes a few years ago, though any songs you have from before that time will still have the DRM. If you purchased any music from iTunes between 2003 and 2009, you downloaded tracks with DRM (Digital Rights Management) in them. Apple's long since removed the DRM, but you might not have. Wired shows how to update your music library with the new, DRM-free versions. Scroll down to find 'Protected AAC audio file' as a Kind - those are the ones you need to replace. 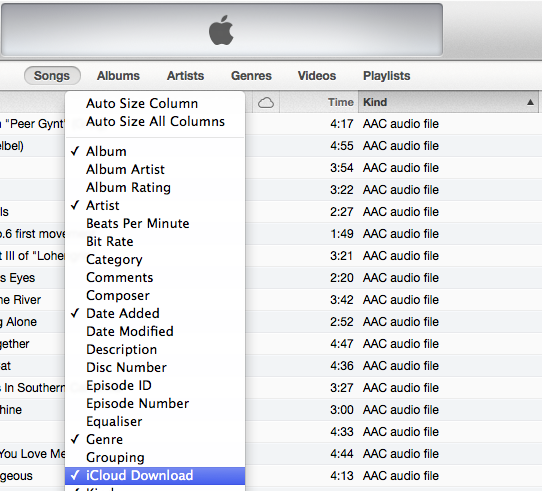 In iTunes, select iTunes > Preferences and click the "Store tab"
Once you run through the process of deleting those songs you can download them from the cloud at any point, DRM free. This has been around for a while, but if you haven't grabbed those DRM free versions, now's as good a time as any. Also see - Which songs in my iTunes library are DRM protected? The same does not apply to video content, only audio. Not the answer you're looking for? Browse other questions tagged itunes drm or ask your own question. How to delete old songs in iTunes that are not linked to actual file on my disk? Transfer iTunes from PC to Mac?